David DeSteno is a professor of psychology at Northeastern University, where he directs the Social Emotions Group. He is the author of Emotional Success, The Truth About Trust, and co-author of The Wall Street Journal spotlight psychology bestseller Out of Character. Dr. Nicole Avena is a research neuroscientist, author, and expert in the fields of nutrition, diet and addiction. She received a Ph.D. in Neuroscience and Psychology from Princeton University, followed by a postdoctoral fellowship in molecular biology at The Rockefeller University in New York City. Her books include Why Diets Fail and Hedonic Eating. Andrea Sanders’ background in environmental conservation spans over 20 years, including the Marine Mammal Care Team at Mote Marine Laboratory & Aquarium, the Central Florida Zoological Park & Botanical Gardens, and the Denver Zoological Park. As founder of the company Space and Pause, she asked “What if we all made less trash?” at TedEx and advises clients and communities on thoughtful living and lower-waste lifestyles. Singer and songwriter Robbie Gil has received a "Best Emerging Artist" award from the National Songwriter Hall of Fame. The Robbie Gil Band has been performing for over a decade with music featured in film, and on television and stage. Their most recent double record, Happy?, is currently being released digitally in four increments before its final vinyl release. The title song opens The Me, Without, setting us in search of heartier punctuation. Amber Case studies the interaction between humans and computers and how our relationship with information is changing the way cultures think, act, and understand their worlds. A fellow at Harvard University’s Berkman Klein Center for Internet and Society and a visiting researcher at the MIT Center for Civic Media, she is the author of Calm Technology, Design for the Next Generation of Devices. Her TED talk, “We are all cyborgs now,” has been viewed over a million times. Julia Bainbridge is a James Beard Award-nominated writer. Her podcast, The Lonely Hour, is about loneliness–but it’s not a bummer. Bainbridge has created a space to talk openly in hopes of both de-stigmatizing loneliness and underscoring the joys of solitude. Gary Taubes is an investigative science and health journalist and co-founder of the non-profit Nutrition Science Initiative (NuSI.org). He is the author of The Case Against Sugar (2016), Why We Get Fat and What to Do About It (2011) and Good Calories, Bad Calories (2007). Taubes is the recipient of a Robert Wood Johnson Foundation Investigator Award in Health Policy Research, and has won numerous other awards for his journalism. 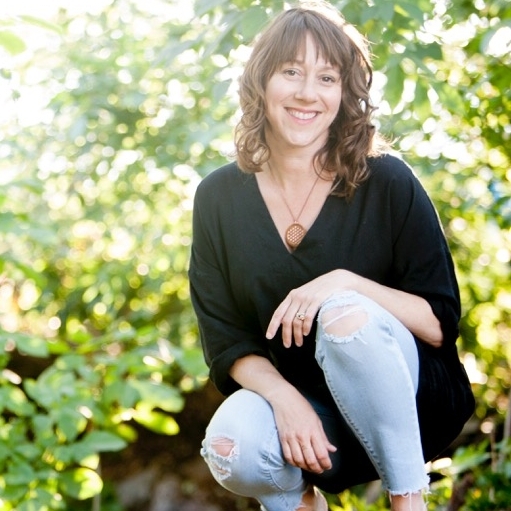 Iris Higgins is a certified hypnotherapist and past life regression specialist with a master’s degree in psychology, a background in nutrition and weight loss coaching. Credentials aside, she just loves to help women become the best versions of themselves. Her online courses, private coaching sessions, and downloadable meditations do wonders. She introduces herself here. Hosts Ben Rosenblatt and Jacqueline Raposo explore love in all forms on Love Bites Radio. The June 20th 2016 show kicked off the the social media cleanse that evolved into the My Year, Without project. Combining interview and self-reflection, Love Bites would prove invaluable to recording and reflecting upon the project for The Me, Without. Love Bites is on hiatus during book production and health restoration. We hope to have a new season launched Spring/Summer of 2019! As a design psychology coach, interior designer, and author, Rebecca West helps people live happier, more successful lives by changing their personal environments. With a degree from the University of Washington in Community and Environmental Planning, she coaches clients at her Seattle firm, Seriously Happy Homes, and though her book, Happy Starts at Home. Academy Award® nominee and Sundance Audience Award winner, Roko Belic's films include "Genghis Blues" (1999), the 44-minute documentary "Dreams: Cinema of the Subconscious," and HAPPY. HAPPY combines powerful human stories from around the world with cutting edge science to give us a deeper understanding of our most valued emotion. Lindsey Rupp is the Digital News Editor for Bloomberg Business and co-hosts Bloomberg’s Material World podcast, which delves into all the things consumers spend their money on. She also Lindsey graduated from Duke University, where she was editor of the independent student newspaper. Now that her job’s made her hate shopping, Lindsey spends her time obsessing about college basketball and her hipster cat. Sasha Graham is a tarot reader, author, lecturer, and the host of the cooking show Enchanted Kitchen. Her Tarot Outreach Program connects NYC’s inner city youth with their personal intuition, and she’s led tarot events at the MET and Morgan libraries, amongst others. A recurring Love Bites Radio guest, her guidance is invaluable. Listen here. The Power of Habit by Charles Duhigg: Habits aren’t destiny. As Charles Duhigg shows, by harnessing this new science, we can transform our businesses, our communities, and our lives. Nudge: Improving Decisions About Health, Wealth, and Happiness by Richard H. Thaler and Cass R. Sunstein: Every day we make choices—about what to buy or eat, about financial investments or our children’s health and education, even about the causes we champion or the planet itself. Unfortunately, we often choose poorly. Nudge is about how we make these choices and how we can make better ones. Reclaiming Conversation by Sherry Turkle: Based on five years of research and interviews in homes, schools, and the workplace, Turkle argues that we have come to a better understanding of where our technology can and cannot take us and that the time is right to reclaim conversation. The High Price of Materialism by Tim Kasser: Drawing on a decade's worth of empirical data, Kasser examines what happens when we organize our lives around materialistic pursuits. Kasser not only defines the problem but proposes ways we can change ourselves, our families, and society to become less materialistic. Annie Leonard’s The Story of Stuff: Expansive, galvanizing, and sobering yet optimistic, The Story of Stuff transforms how we think about our lives and our relationship to the planet. The Antidote by Oliver Burkeman: A witty, fascinating, and counterintuitive read that turns decades of self-help advice on its head and forces us to rethink completely our attitudes toward failure, uncertainty, and death, Burkeman's book is a witty, fascinating, and counterintuitive read that turns decades of self-help advice on its head. Stumbling on Happiness by Dan Gilbert: Vividly bringing to life the latest scientific research in psychology, cognitive neuroscience, philosophy, and behavioral economics, Gilbert reveals what scientists have discovered about the uniquely human ability to imagine the future, and about our capacity to predict how much we will like it when we get there. Extreme You by Sarah Robb O’Hagan: Sarah became an executive at Virgin Atlantic and Nike, and despite being fired twice in her twenties, she went on to become the global president of Gatorade and of Equinox—as well as a wife, mother, and endurance athlete. Inspiring, surprising, and practical, Extreme You is her training program for becoming the best version of yourself.